We just love dining alfresco. 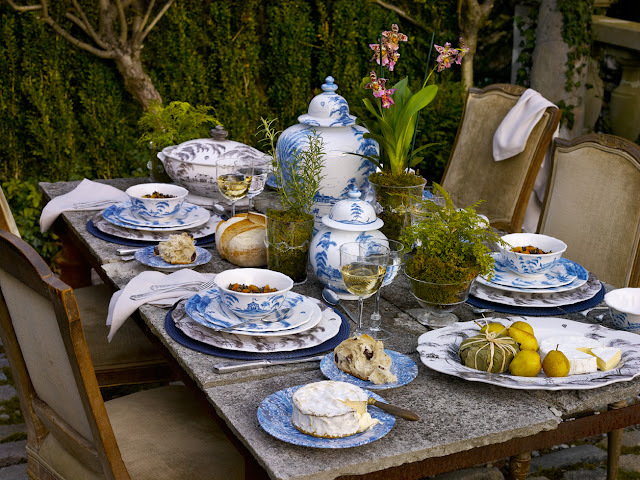 This table setting has us dreaming for a long summer meal out on the patio! Get the Look: From the Juliska Collection - Country Estate Charger, Country Estate Delft Blue Dinner Plate, Graham Small Goblet, Country Estate Delft Blue Ginger Jars, Country Estate Serving Platter, Firenze Marbleized Cocktail Plates, Navy Round Millinery Placemat.